The Marlins enter the series with the Phillies struggling mightily. They have lost 10 of their last 12 games and are currently tied with the Houston Astros for the worst record in Major League Baseball at 12-32. They ranked dead-last in MLB in batting average (.220), runs (117), on-base percentage (.282), and slugging percentage (.317). Player to Watch: Justin Ruggiano - Ruggiano is only hitting .206 but leads the Marlins in seemingly every other offensive category. Ruggiano leads the Marlins in homeruns (seven), RBI (16), runs (18), and OPS (.688). He is a career .278 hitter against the Phillies with four homeruns and 11 RBI in 16 starts. The Washington Nationals won 98 games last year but have not gotten out to the kind of start they had hoped for. The Nationals are just 23-21 and have not shown the offensive power many expected. They are 27th out of 30 teams in runs (155), 28th in slugging percentage (.373), and 29th in both batting average (.230) and on-base percentage (.282). They come in having lost four of their last six and six of their last nine games. 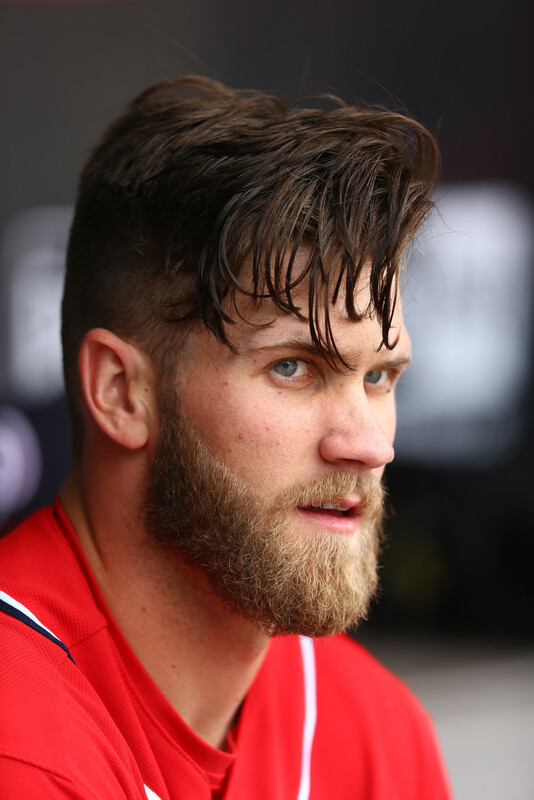 Player to Watch: Bryce Harper - The reigning National League Rookie of the Year has proven that he is, in fact, the real deal. He lead the Nationals in pretty much every single major offensive category: batting average (.297), homeruns (11), RBI (22), runs (26), and OPS (1.011). In his career against the Phillies, Harper is hitting .313 with two homeruns and eight RBI in 17 starts. The Phillies have issues in their pitching staff and in their lineup. They are not getting the kind of clutch hitting they are going to need to be considered a legitimate threat. As of May 14th, they are hitting just .241 with runners in scoring position compared to the NL average of .250. The Phillies are hitting just .155 with two strikes which falls below the .172 NL mark. It is not a crazy difference but a difference nonetheless. The most shocking numbers come from the Phillies slash line (batting average/ on-base percentage/ slugging percentage) in a 3-1 count: .286/.583/657. Those numbers are not bad but, remember, this is the ultimate hitter’s count. The National League average sits at: .352/.686/.700 which is significantly more productive than the Phillies’ line. When broken down by position, it gets interesting. For the Phillies, only second base (.272/.325/.464) and third base (.317/.400/.400) have batting averages higher than .258. Catcher (.201/.250/.284) and right field (.205/.299/.307) bring up the rear for the eight every day positions (pitcher excluded). They have been dealt two blows to their pitching staff this week. Roy Halladay will be out for the next few months but did have successful shoulder surgery on Wednesday in Los Angeles. In addition to Halladay's surgery, reliever Mike Adams has been suffering from back spasms and a trip to the disabled list is not out of the question as he had a setback earlier this week.